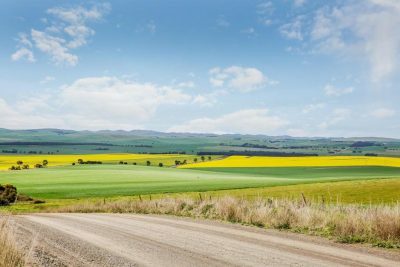 TWO PRIME South Australian dryland cropping aggregations, Glendale and Ungarra, have been broken up and sold back to family farming operations by corporate vendor Hassad Australia. Hassad has sold its Glendale aggregation in South Australia to local interests. The Glendale aggregation, between Clare and Burra in the state’s Mid North, covers 3263 hectares and sold for $16.2 million, close to $5000/ha. CBRE Agribusiness’ Danny Thomas and Phil Schell negotiated the sale of Glendale, which comprised 12 semi-contiguous holdings. “A number of local adjoining and nearby farmers ultimately purchased all of the assets, indicating the continued confidence that local buyers have in this region,” Mr Schell said. Glendale sits in a region renowned for its ability to grow wheat, barley, canola and legumes including lentils, as well as support the grazing of livestock. Mr Schell said the listing generated widespread interest. Elders Real Estate handled the sale by expressions of interest of Hassad’s Ungarra aggregation on the Eyre Peninsula, and general manager real estate, Tom Russo, said the sale reflected the strong demand for quality agricultural holdings, particularly ones of scale in South Australia. Elders’ Port Lincoln-based rural specialist, Darryn Johnston, was also involved in the sale of Ungarra, which he said attracted more than 100 inquiries, and numerous expressions of interest from corporate farmers and private operators. “The local farming community is very excited about the outcome and very pleased that the sale process adopted by Hassad Australia allowed both corporates and local operators to compete equally,” Mr Russo said. The Ungarra aggregation sits between Cummins and the east coast of the Eyre Peninsula. It covers 5008 hectares, and was offered alongside Hassad’s nearby Cummins aggregation of 2098ha. Both the Ungarra and Cummins aggregations receive a reliable annual average rainfall of 425 millimetres per annum. Combined, the Cummins and Ungarra aggregations comprised 11 properties, and the Cummins hub remains on the market with Elders. “The required pricing is between $3,830 and $6,425 per arable hectare; that’s the expectation,” Mr Russo said. Hassad Australia has also sold its grazing and cropping aggregation, Raby, in the Macquarie Valley of NSW. Click here to read about the sale, and Hassad’s direction for agricultural investment.